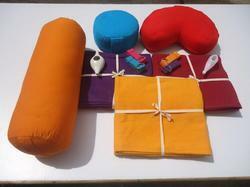 Established in the year 2002, at Karur (Tamil Nadu, India), “The Loyal Exports” is leading name manufacturing, supplying and exporting a wide range of Yoga props such as Yoga cotton rugs, Shiatsu mats, Yoga bolsters, Pranayama bolsters, Yoga cotton blankets, Eye pillows, Neck pillows, Zafus, Zabuton, Meditation cushions, Ceramic / plastic neti pots, Yoga mat bags, Yoga belts, Pune belts, Zen cushions, Camel cushions and many more. Our state-of-the-art manufacturing facility along with adroit professionals has made us one of the leading names in the industry. We have a team of skilled and creative craftsmen, who produce the entire range of products in adherence with the global standards of garment fabrication. The offered products are widely acclaimed for the uncompromised print quality, latest designs and stylish patterns. Our ethical business principles and reasonable price structure makes us more tempting for our clients spanning all over the globe. With the most advanced machines installed at our manufacturing unit, we are able to create an innovative product range with utmost excellence in terms of dimensions and tailoring. Endowed by a team of imaginative and creative professionals, we have been capable to offer the most demanding products to our valued clients. Our finished products are rigorously checked against pre-defined international qualitative parameters for persistent uniformity in crafting out flawless range of exclusive Yoga items. Under the unrelenting and constant guidance of our promoter, Mr. C Sreedharan (Textile Technologist), we have created an extraordinary position of pride in the industry. His more than a decade of experiences in textile field and sharp business intelligence have enabled us to reach position of dignity in the domain of the textile industry. We have emerged as leading name in the industry for manufacturing exporting and supplying high quality range of Yoga Products & Meditation accessories . Due to the following reasons, we have become the preferred choice of our clients. We are a ISO 9001: 2015, ISO 14001: 2015, OHSAS 18001. GOTS and OCS certified company. A team of extremely talented and loyal experts is working round the clock to comprehend and competence to the fabrication process. Our experts facilitate us to deliver supreme quality products to our esteemed clients at matchless prices. Due to the dedication and commitment of our experts towards work, we have gained strong grip across the global market. 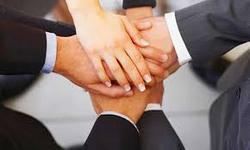 These professionals are recruited through scrupulous selection procedures according to their domain expertise. Further, we also regulate our professionals by providing them frequent training sessions, which enable them to produce distinct and exceptional product range. Backed by in-depth domain expertise, our professionals also hold skill in offering customization solution to our valued customers. Our experts minutely comprehend clients; requirements in terms of size, color, design, shape, etc. and fabricate accordingly within stipulated time frame. The other factor is our well equipped manufacturing unit that is efficient enough to fabricate products according to the different needs of our clients. Further, the customization solutions offered by us are completely in compliance with client’s desired specifications. The Loyal Exports An ISO 9001:2008 Certified Company. 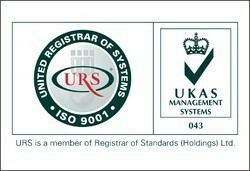 Accredited by UKAS (United Kingdom Accreditation Service). The products of Loyal Exports carry the seal of quality in the selection of the choicest yarn, the base raw material. Quality is not a mere word for the company but something that initiates string of activities ranging from attention to every minute detail of them to ensuring the suitability and style. Above all, our uncompromising corporate principle of providing quality product at competitive price and timely delivery is the underlying secret and source of our success. 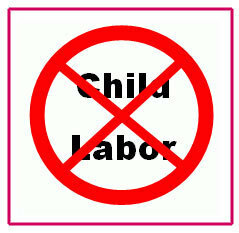 The Loyal Exports observe all codes of conduct and are committed to fighting the misconduct of child labor. We are dedicated to the protection of environment. Trusted safeguards are provided in all our manufacturing activities.